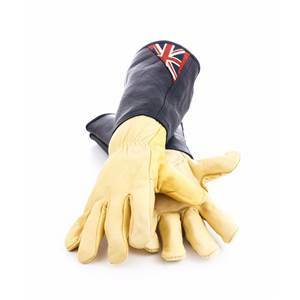 These suede leather gloves have a full 20cm saddle hide leather cuff, which gives superb protection against brambles and other sharp plants! Union Jack Logo on the Cuffs. 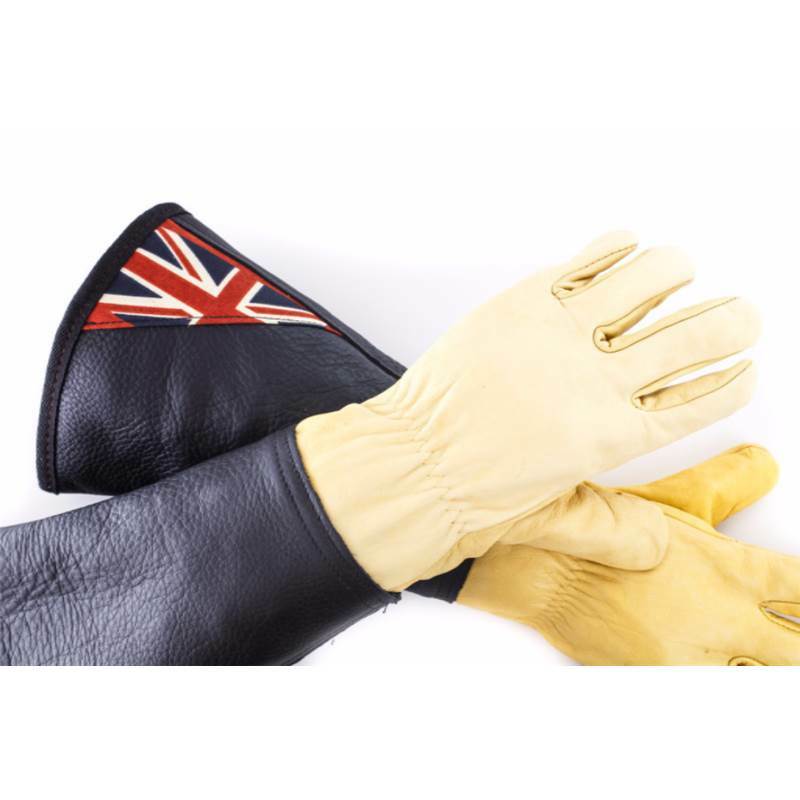 Leather Gardening Gloves with Suede Sleeves.